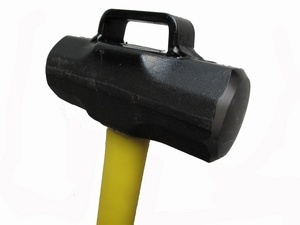 The 8 Adz Maul is a 8 lbs sledge with fiberglass handle. It also comes equipped with a metal top bracket to insert the Adz of a Pro Bar Halligan for a perfect marry attachment. The bracket is very strond and can be used for striking during forcible entry.